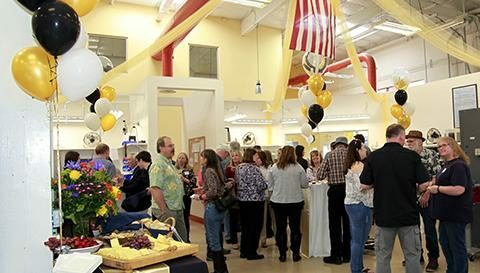 A large group gathered at the MMI facility to mark the 50th anniversary of the company.The catered event welcomed back many former employees along with vendors, sales agents and local government officials. Guests from as far away as Wyoming, Oregon, Michigan and Japan got together to share their stories, some stretching back over 40 years. Following a multimedia presentation which chronicled the history of the company, the Max family was presented with a flag that was flown over the U.S. Capital in honor the company’s accomplishment.More pictures are available on our Facebook page.